Dublin Vacations: Explore the Heart of Many Irish Expressions! 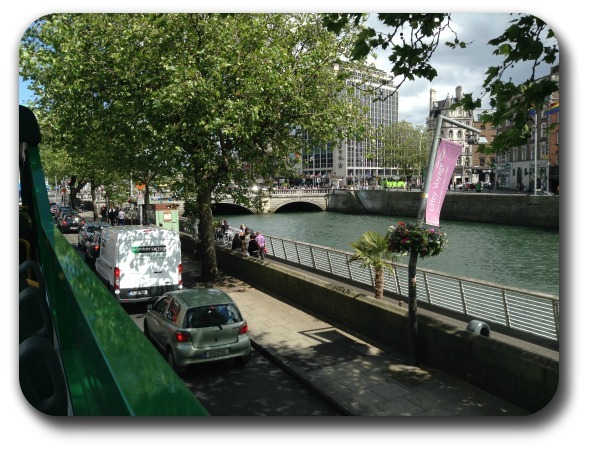 Dublin Vacations: Visit This Important City Where So Many Irish Expressions Were Born! Planning and enjoying Dublin vacations will help you to understand one of the most fascinating cities in Europe, if not in the world. As a center of Irish culture, the city has had a major influence on the customs, music, food, art, folklore and many other Irish expressions. Like Ireland itself, Dublin has an inviting personality. And the city’s friendly, gracious and often witty inhabitants always exhibit an infectious joy for life. Dublin’s pubs are filled with people cozying up to the hearth, lifting a pint while enjoying the rich sounds of the live Celtic folk music that’s performed there almost every day. This is a place where life is lived to its fullest. Some of the city’s great charm also stems from its appearance in Irish legends. Some of them involve St. Patrick and his conversion of pagan Celts to Christianity. “Ghost stories” abound in Dublin Ireland, including the story of poor Molly Malone – a fishmonger whose ghost is said to walk the city streets. She was the inspiration for the ballad “Molly Malone” (also called “Cockles and Mussels”). Want to know more about Dublin in Irish legends? One of our favorite things to do in Dublin is hop onto one of the wonderful city bus tours - prepare to laugh, sing and enjoy! With Jonathan Swift (Gulliver’s Travels), Oscar Wilde (Salomé, The Picture of Dorian Gray) W.B. Yeats (The Wanderings of Oisin, The Vision) and many other poets and writers being born and schooled there, Dublin has an impressive literary tradition. The tradition extends much further back into history than those relatively modern literary figures, however. For example, the ancient Book of Kells is proudly on display at Dublin’s Trinity College. The city even has a poem named after it, but then that’s not too surprising. Today, as an independent republic, Ireland prizes its history, heritage and traditions, and Dubliners are justifiably proud of the way they’re reflected in the city’s superb museums. The National Museum of Archeology & History, for example, is the country’s primary repository for its numerous archeological treasures.